Please welcome historical fiction writer, Debra Brown to The Seventeenth Century Lady! Debra was kind enough to invite me to write The Stuart Curse: The Tragic Lives of a 17th-Century Dynasty on a website that she runs, English Historical Fiction Authors. Sarah, Duchess of Marlborough, held an influential position in the court of Queen Anne. She not only had the second greatest social position for a woman in the country, but with her charm and strong leadership qualities she had the ear of the Queen and would freely access great statesmen and generals. Born Sarah Jennings, she became the playmate of Princess Anne, the daughter of James, the Duke of York. 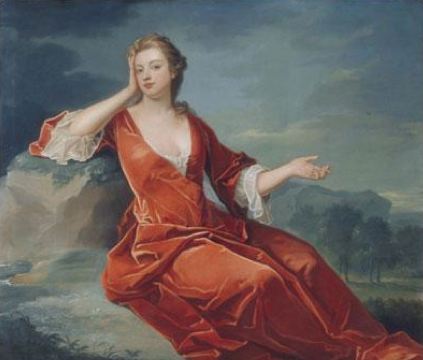 Come 1675, the beautiful, intelligent Sarah met John Churchill, a colonel of the army and a gentleman of the bedchamber to Prince James, the Duke of York. The handsome Churchill had distinguished himself at the siege of Tangier and was widely respected. He was a charming man of pleasing manners, energy, and good judgment. Churchill’s father wanted him to marry the wealthy Catherine Sedley, but he chose Sarah, and in 1678, they married secretly. Though both were Protestant, they remained in the court of Catholic James II when he ascended the throne in 1685, Sarah being a Maid of Honour. Their first child, Harriet, died in infancy. Colonel Churchill, the King’s favorite, was given a Scottish peerage and the command of a regiment of guards. Once Princess Anne married Prince George of Denmark in 1683, Sarah was appointed her Lady of the Bedchamber. James’ daughters, Princess Mary and Princess Anne, though once close did not later get along, but Anne continued her friendship with Sarah. She was, in fact, quite dependent upon the striking and majestic Sarah emotionally; she required her companionship, and to a great degree, came under her power. When they were apart, Anne wrote Sarah up to four times a day. 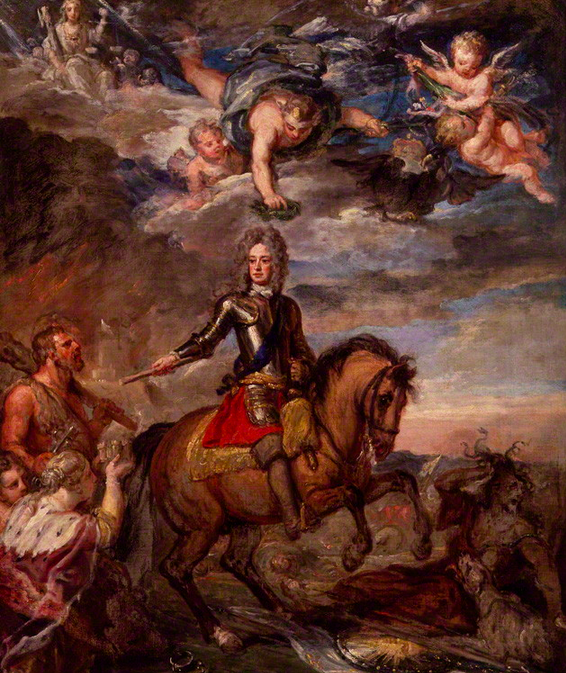 Colonel Churchill’s loyalty to James II ended when John began to support William of Orange and Mary. As William advanced to take rule of the country, James ordered that Anne and Sarah be placed under house arrest. They fled, however, down some back stairs to safety. John was created The Earl of Marlborough by the Oranges. The Marlboroughs, however, were not in high favor with the King and Queen. John had, after all, once supported James, and Mary was aware of the influence Sarah had over Anne. Queen Mary II insisted that Princess Anne dismiss Sarah. Anne refused, which caused a rift between the two sisters. Anne requested an annuity from Parliament, which was seen by her sister and brother-in-law as a means of freeing herself from William and Mary’s control, and they felt Sarah was behind the matter. They offered Anne the same amount from their Privy Purse, but she declined through Sarah. A bill supported by Anne’s friends, including the Marlboroughs, passed, granting the annuity from Parliament. Other difficulties in time led to John’s being imprisoned in the Tower of London. Sarah was forced out of the court, and loyal Anne left with her. They stayed with the Duke and Duchess of Somerset. After Mary’s death from smallpox, William restored Anne to her place and brought John back to once again lead the military. John was popular, experienced and poised at age fifty-three when Anne, in 1702, became Queen of England, Scotland and Ireland. The weight of public affairs now rested on his shoulders. Sarah’s husband was the most famous general of the time, and her daughters married the highest men of the land. Sarah was the first lady of the land after the Queen, whom she controlled while nominally serving her. Even their great house, Blenheim Palace, was paid for by the government at the request of Queen Anne. In time, Sarah’s strong will and political views, which were at variance with Anne’s, caused a breach between the two. When Anne’s husband died Sarah had the audacity to take his portrait away from Anne and to insist that she move to another residence. By this time, Anne had begun to resist Sarah’s authority over her, and eventually their relationship ended. Sarah lived a long and eventful life, and became an ancestress of Diana, Princess of Wales, and of course, Winston Churchill. You will find a lovely article about Sarah in the soon-to-be-released Castles, Customs, and Kings: True Tales by English Historical Fiction Authors. Watch for it on Amazon September 23, 2013. Through September 22, there is a giveaway running on Goodreads. Debra Brown runs the English Historical Fiction Authors blog which will celebrate its second anniversary on September 23, and the Goodreads group Historical Info for Historical Fiction Readers. She is the author of The Companion of Lady Holmeshire, an Early Victorian novel about former servant-girl Emma Carrington who receives a rude reception in polite society. One of the Sarahs I was named after as my dad was a graduate student when I was born studying to become a professor of European & British history. Glad to learn a bit more about her. Interesting, Sarah! Had society been less gender-biased, Sarah would probably have run the country. The original Iron Lady. It is people like Sarah that make history so fascinating. Sarah unfortunately, had a habit of punishing Queen Anne by withholding her affection, and eventually she outsmarted herself. An lesser lady of the court who was more subtle in her manipulation of the queen began whispering little barbs about Sarah in the queen’s ear. When Sarah caught on to it, it was too late and she found herself usurped. And John Churchill’s military campaigns suffered because of it. Anne was not the only person who found the Duchess of Marlboro’s bullying offense. Her daughters refused to speak to her after their father died. She consoled herself with memories of her beloved duke and her status as one of the world’s wealthiest women. Thanks for the interesting extra details! She’d be an interesting person to write a whole book about. Indeed! Thanks so much for the excellent post, Debbie! And now that I look it over, where did I say thank you for having me here on your lovely blog? How rude! Thank you so much. I’ll never forget Susan Hampshire’s award winning performance as Sarah in the BBC series, “The First Churchills”! I’m not sure if that is the one I saw- light on budget show, but I enjoyed the history.